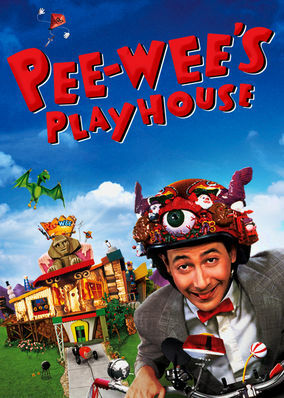 Pee-wee Herman brings his stage show to the masses with this innovative live-action kids series that invites viewers into his quirky, childlike world. White shoes, gray suit and a red bow tie. The quirkiest kids' TV host ever. Stunts and silly pals keep the fun flying. Pee-we! e Herman brings his stage show to the masses with this innovat! ive live-action kids series that invites viewers into his quirky, childlike world. White shoes, gray suit and a red bow tie. The quirkiest kids' TV host ever. Stunts and silly pals keep the fun flying. Pee-wee Herman brings his stage show to the masses with this innovative live-action kids series that invites viewers into his quirky, childlike world. White shoes, gray suit and a red bow tie. The quirkiest kids' TV host ever! . Stunts and silly pals keep the fun flying.